Strataflex features a 2" double stick lap joint that creates a watertight seal for superior waterproof protection and provides up to 3/8" crack isolation protection. Available in 3' x 50' rolls (150 sf). 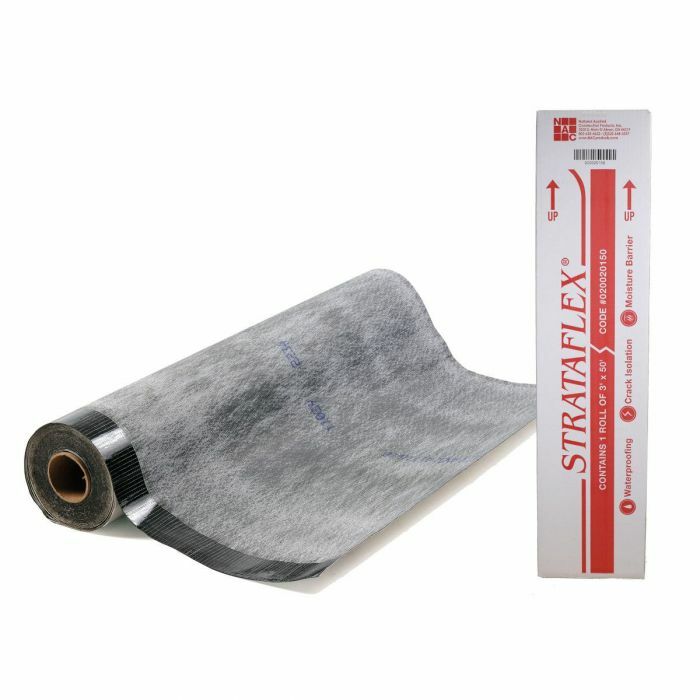 Strataflex is a 40 mil thick (approx. 1/16"), sheet membrane designed for use under interior or exterior floor surfaces that require waterproof protection. Strataflex features a 2" double stick lap joint that creates a water-tight seal and is the ultimate solution for applications that require waterproofing such as apartments, condominiums, hotels, restaurants, malls, high-rise office buildings, bathrooms, kitchens and any commercial or residential installations requiring waterproof protection.